JA of Sacramento's volunteer-delivered, kindergarten-12th grade programs foster work-readiness, entrepreneurship and financial literacy skills, and use experiential learning to inspire students in our community to dream big and reach their potential. Your corporation can support the growing need for youth development in Sacramento by helping today's students with the critical skills and the character necessary to succeed in your 21st century workplace. Not affiliated with a corporation partnered with JA? You can make a donation directly to JA of Sacramento! Not affiliated with a corporation partnered with JA? You can volunteer in your community directly with JA of Sacramento! Not an Educator? Find out how you can get JA programs into your Sacramento school! 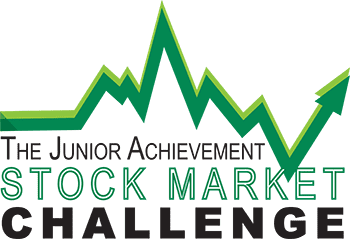 The Junior Achievement Stock Market Challenge is a unique & dynamic event that brings together professionals from generous companies throughout the Sacramento region for a night of food, drink, fun and friendly competition while supporting youth education in our community. Increase your company's visibility and network with other top companies as you share in the excitement of this one-of-a-kind evening. Would you like JA to be a part of your school? Check out this overview of what it takes to get a JA program in a school near you.